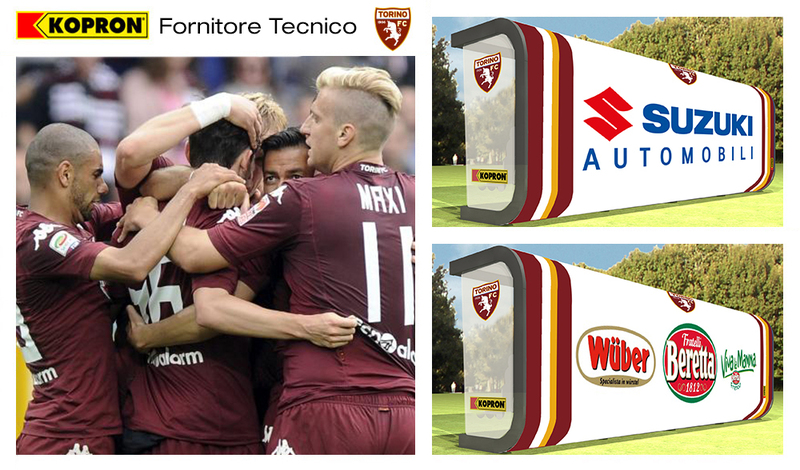 Kopron and Torino F.C have started a new technical sponsorship with a great victory at the Olimpic Stadium against Bologna. Kopron Sports division produced two benches for the team’s technical staff. 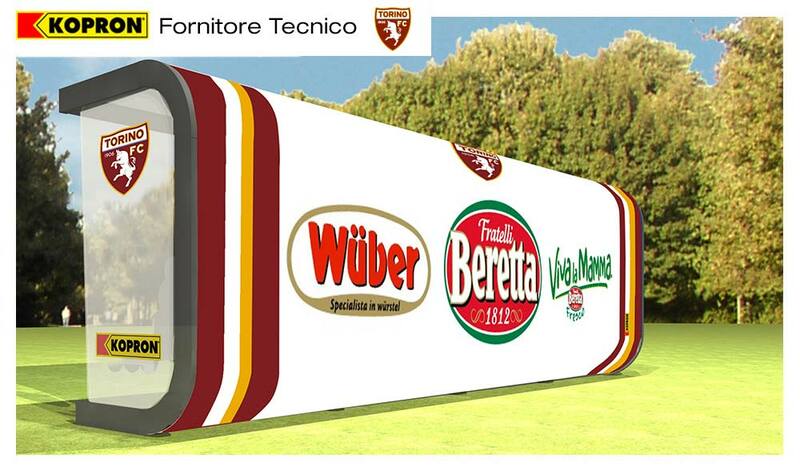 Kopron officially opened the 2015/16 sports season with Torino Football Club by producing 2 training benches at the Sisport Sports Center in Turin, where they go for training. The benches with 36 seats are for both players and technical staff. 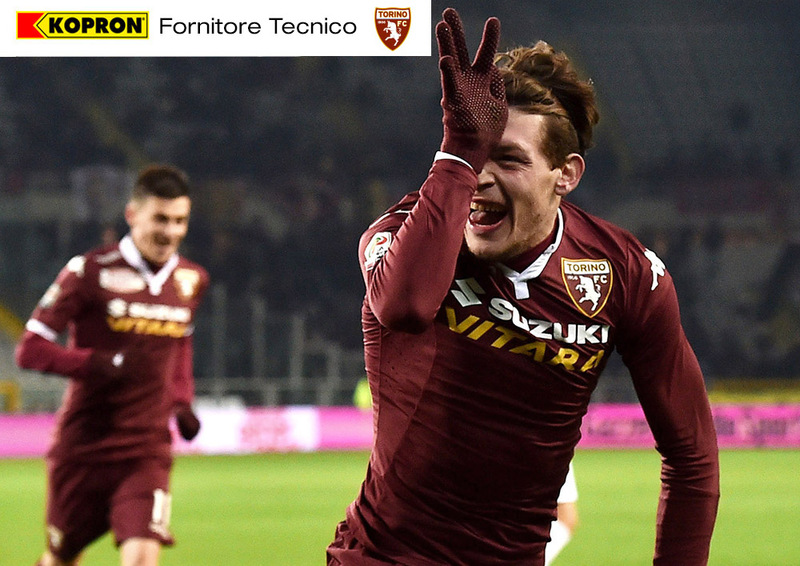 “Working with Torino F.C as technical suppliers, makes us feel very proud’ said Kopron’s chairman Mr Paolo Vergani, “‘being a great team with a long history which never stops to amaze supporters”. Kopron Sport Division is dedicated to sports, and thanks to their qualified technicians working in the sector they were able to design and produce two benches for the training field of the football team. The benches have a unique design and the materials used to produce them are of very high quality, which make them strong and resistant through time. The body of the benches is in oven painted steel, seats and backs are in maroon red faux leather. The cover of the structure is in PVC. Both benches are personalized with the colours of the team and logos of sponsors. This is one of the main advantages of Kopron benches which can be totally personalized with printings on the PVC. Kopron’s name during the whole football season will be linked to Torino F.C. The company’s best customers may have a seat in the first row in the Giorgio Ferrini official gallery and have access to the catering area. Kopron leds will pad all the first row of the field side. ““Our brand has always accompanied the sports world, since we share the same values: team spirit and unity when having to make decisions and achieve results” said Mario Vergani, Kopron CEO. Torino Football Club is in the series A of the Italian championship along with Juventus both from same town (Turin). It disputes all of its home games at the Stadio Olimpico. 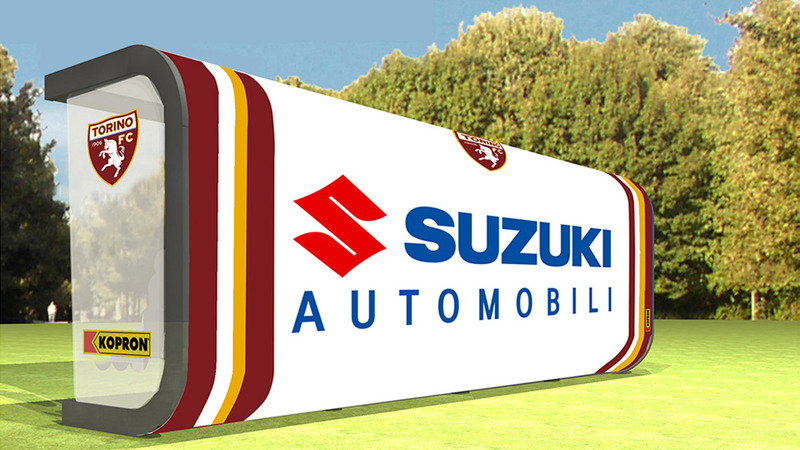 The club’s colour is maroon while its symbol is a rampant bull, hence the nickname ‘il Toro’ (the Bull). In the perpetual ranking of series A, which takes into account all the clubs that have played in the top flight at least once, Torino occupies 8th place, having participated in 71 of the 83 editions held. The team is among the most successful clubs in Italy with seven league titles including five consecutive league titles (a record tied with Juventus and Inter at the time of the Grande Torino, widely recognised as one of the strongest teams of the 1940s. They have also won the Coppa Italia five times, the last of which was in the 1992/93 season. Internationally, Torino won the Mitropa Cup in 1991 and were finalists in the Uefa Cup in 1992/93.